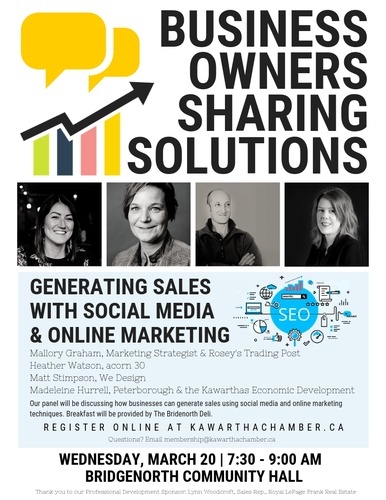 Our first Business Owners Sharing Solutions is taking place on Wednesday, March 20th from 7:30-9AM at the Bridgenorth Community Hall (836 Charles Street,Bridgenorth - beside the library). The topic will be Generating Sales with Social Media & Online Marketing! This B.O.S.S session will include breakfast. Breakfast will be provided by The Bridgenorth Deli. If you have any dietary restrictions, please let us know! The session will be moderated by Madeleine Hurrell, Economic Development Officer at Peterborough & the Kawarthas Economic Development's Business Advisory Centre. 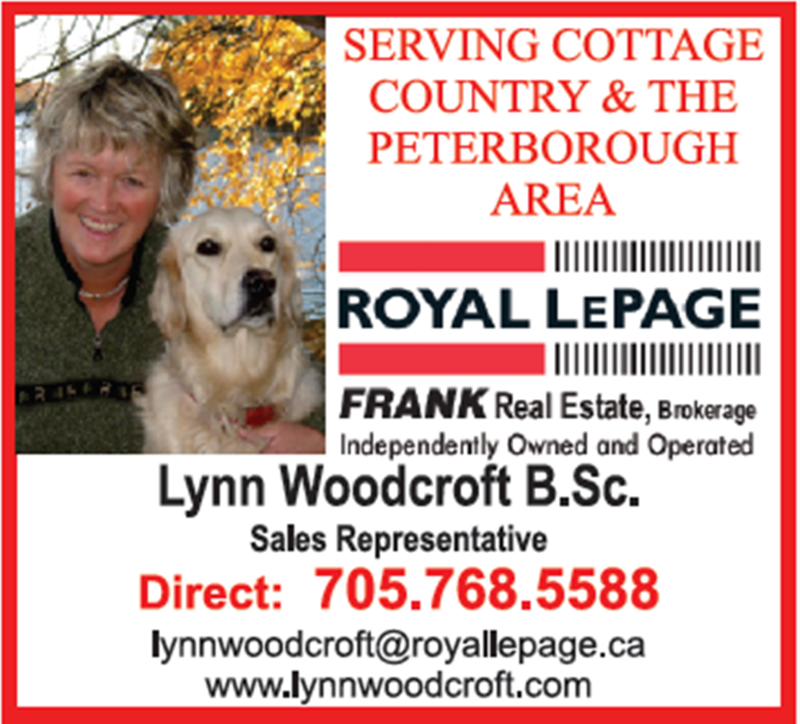 Thanks to our Professional Development Sponsor, Lynn Woodcroft, Sales Rep., Royal LePage Frank Real Estate.